The church Saint-Nizier. The silhouette of Saint-Nizier is at once recognizable by its two asymmetric arrows. 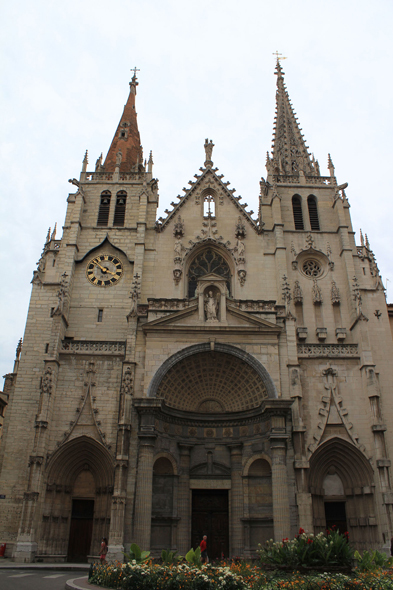 The church is mainly built in the Flamboyant Gothic style, with a portal of Renaissance style.